In the last few years, Virtual Reality (VR) has become more powerful and more accessible than most people thought possible. 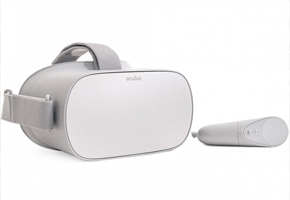 A vast range of start-ups and established players – among them Google, Microsoft and Sony – are either developing their VR capabilities or piggybacking on the technology of others. With this widely available access to VR has come a raft of applications, from intimate gaming to meditation apps, and a new horizon for interactive, immersive experiences. At the same time, the majority of these activities happen alone. Many see this as impeding the great potential of virtual reality and envision a world of VR where users can interact and express their social needs. We humans are inherently social creatures, and VR – even with all its power and potential – often delivers a solitary experience. With VR often offering a solitary, sometimes isolating experience, many companies are now looking at ways to make VR a more social space. 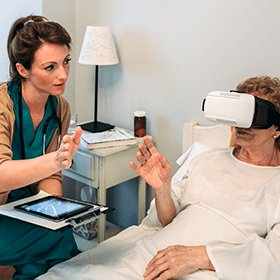 The applications and aims are diverse, but they all have one thing in common – connecting VR users and transporting people to social environments. Facebook, for example, has developed its ‘Venues’ platform to push VR into extreme social territory. As the parent company of Oculus and a focus on social applications, Facebook wants to bring thousands of VR users into the same, shared environment. Currently, this takes the form of putting users at events like concerts and sports matches. So, alongside those that are physically present at the event, there may also be hundreds or thousands of VR attendees, all able to interact with one another. At the same time, a raft of social VR startups is gaining funding, as investors start to see the potential of social VR. TheWaveVR recently wrapped up a $10 million funding round, looking to push ahead with its social VR music app. Aiming to create an interactive, never-ending music festival for users, visitors will be able to take in music, meet people and socialise. In a similar vein, but focused on sports, LikeLike announced in February that it had successfully raised $9.6 million in a series B round of finance. LiveLike has developed a VR, AR and mixed reality platform that uses live streaming to put users in their own suite overlooking sporting events. Able to watch and discuss the game before them, the $15 million raised by LiveLike are indicative of investors that are bullish on social VR technology. With the ability to escape into a virtual environment comes a raft of societal and ethical concerns. If users can access a world that is perfect – and that is all theirs – what does this mean for their interactions with the real world? It’s a question that has dogged video games since their inception, but the all-encompassing nature of virtual reality gives the question fresh legs. Humanity has never had a technology that can feel and seem so real, and that completely removes the user from their real-world environment. At the same time, there has perhaps never been a better tool (the internet notwithstanding) for bringing people together for societal gain. In an environment where people from across the world can interact and exchange ideas in real-time, and be virtually face-to-face, the potential of VR technology is staggering. It’s clear that VR manufacturers have their own ideas and concerns about the societal impact of virtual reality technology, and they are also aware that these benefits could slip away if not properly nurtured and harnessed. One avenue of VR that is expanding, and even being seen as the new frontier of the technology, is in the realm of shared experiences. The thinking goes like this; if VR is so popular, why not use it and bring people together at the same time? And it’s a good question. There’s no reason why the use of VR has to be an isolating experience, and providing spaces where people can enjoy it together enhances the interactivity for everyone. 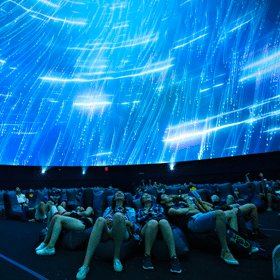 Dome projection is one area where VR is seeing ramped-up communal use, and the outcome can be impressive. Making use of a 360º environment, a dome projection is a seamless way to use VR in a social setting. Users can experience and see anything – from outer space to the bottom of the ocean – and do it together. Any use of VR that puts users in a shared experience – whether it’s a dome, cylinder or just a cluster of seats – harnesses the power of VR technology and delivers the best social results for users. And shared experience VR could very well develop into its own, unique spoke of the virtual reality experience. While large-scale socially beneficial impacts of VR might only be in the starting stages, mixed reality already offers a great deal of interactivity. Overlaying virtual content onto the physical world around us, mixed reality (MR), in some ways, achieves the aims of social VR. While users of VR headsets are limited in a shared space (it’s not easy to move around when everyone involved is essentially blindfolded), mixed reality doesn’t have this issue. It’s perfectly easy, and in fact often encouraged by developers, for mixed reality users to share their experience with others in an authentic, physical way. As mixed reality becomes an increasing part of device functionality, it’ll be easier for users to form social groups and have shared mixed reality experiences. Users can benefit from access to virtual content, but don’t have to sacrifice social interaction to use it. 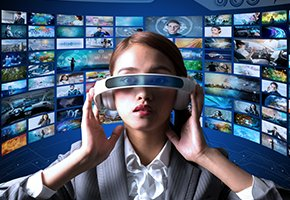 With mixed reality growing just as rapidly as VR, the immediate future could see the technology establish itself as another viable social virtual content platform. One of the main challenges currently facing VR is how to engage with a broad audience of users. While VR is rising in popularity day by day, it is still considered a niche technology by many. Where this could change is through the production of VR and 360º content that is fit for multiple channels of consumption. By creating virtual experiences that can move across different expressions of VR, such as headsets, mixed reality and social, VR developers will gain additional engagement with audiences and widen their user base. It is within this flexibility of use that VR may find the perfect mix of social and individual experience it seeks. Making experiences scalable to different needs and, ultimately, tying audiences together, is what could foster a genuinely social virtual experience. Right now, we are still only on the cusp of everything virtual technology can do; just look at how much things have changed in a few short years. Ultimately, there is the space and the technology to foster to every user’s needs, both social and individual, and there is enough space for everyone to have the experience they want. With the rise of social VR, mixed reality and other iterations of the technology, we’re still only looking at the tip of the iceberg. We will continue to see the different areas of virtual experiences change and evolve, and it’s clear that the social aspect will be a significant part of the process. Looking for an XR studio to produce your next project? Hire our production crew to capture your next project in stunning 8K stereoscopic VR video with 3D spatial sound. Our studio services include VR content production, VR/AR app development and specialist VR post production facilities. Explore how we help clients in the Training, Exhibition and Tourism industries engage their customers and audiences through XR technologies. 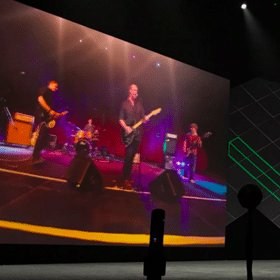 Advancements in VR cameras, live stitching and adaptive streaming are making Live VR broadcasting a reality. 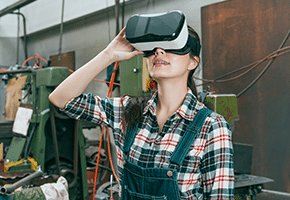 Virtual reality training feels like the wave of the future because it is – but VR training for skills enhancement isn’t something entirely new. Our VFX team take you through the basics of 360 and VFX required to clean up basic stitching issues and tripod removal. Video Blog: What is Spatial Audio? Our Audio team have created a 360 video demonstrating sound design and why spatial audio is critical to VR experiences. 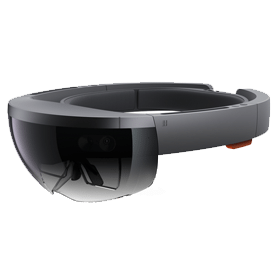 The rapid improvements in AR over the past few years has given rise to all kinds of innovative, amazing uses for this portable technology. Want to really wow audiences? Use Virtual Reality and Augmented Reality as part of the media mix in your next ad campaign. If you’re developing a VR video game or film, there is a growing infrastructure to support your content creation. Why you need 8k stereoscopic video capture technology and spatial sound to deliver a truly immersive VR experience. Everything you need to know about the virtual reality hardware available today, exploring the many headset options and the untethered future of VR.